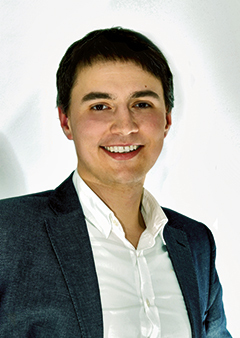 Slawomir Wolf is the Founder and CEO of AVSystem. Since 2006, Mr. Wolf has been main person responsible for the company’s constant evolvement, strategic development and management of all AVSystem branches worldwide. Q: With the development of IoT and M2M, the CSP'S are facing problems in management, bandwidth, security, and power as more and more devices are connected. Since AVSystem has been working in the industry for over ten years now, how do you view the market and in what areas do you envisage these problems growing? A: AVSystem has been working in the market for over a decade now. Based on our experience, we can easily say that the problems that CSPs are now facing are, in fact, still, very common ones. The areas of concern are almost exactly the same as all the service providers were battling about 15 years ago due to the disruptive and rapid growth of the Internet. Back then, one of the core areas of troubles was the multitude of technologies used, in the aspect of access technology as well as hardware manufacturing. Entering the area of device management back then, we were observing many problems with adapting to industry standards. Consolidation of these specifications and the overall improvement of the situation took the industry quite some time. The link with the current circumstances is the following– the concepts of IoT and M2M are in majority made up of device management. That’s why, logically, the problems are also device management-related. Only in the case of Internet of Things environments, everything seems to be magnified due to the scale and number of assets connected. Security, bandwidth, power – all of these topics need to be fully covered by industry standards which then ought to be thoroughly adopted by device manufacturers and software vendors. Only then can we speak of successful implementations of Internet of Things environments. Q: Most people in the industry will know of your award-winning products Coiote and Anjay for IOT and M2M, could you talk through these products and how they can solve some of the main problems faced? A: Taking into account the need for a true IoT technology standard to be put in place, it was very natural for AVSystem to focus on the development of products that would work with the upcoming standard for M2M/IoT– the LwM2M protocol. Our rich experience in the field of device management for telecommunications companies allowed us to build an extremely scalable and flexible IoT platform – Coiote. We should not forget that any IoT network cannot exist without proper device management. Thus, the Coiote IoT platform is highly linked with this and other, previously introduced industry protocols, such as TR-069 or MQTT. 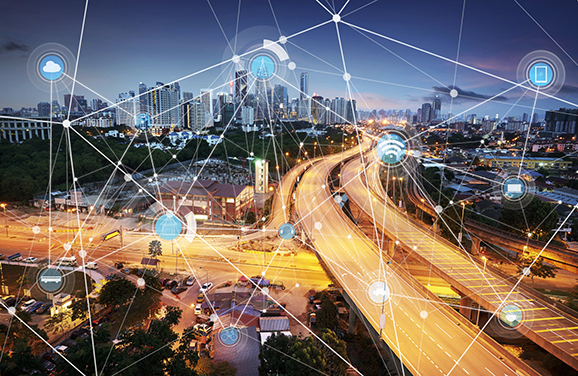 In short, LwM2M is a device management protocol designed and promoted by the Open Mobile Alliance (OMA) specifically for sensor networks and low power IoT devices with the demands of M2M environments in mind (like mobility). A result of a decade of AVSystem’s experience regarding device management and monitoring were two products¬– Anjay, a full LwM2M protocol stack and the Coiote IoT platform. The first one mentioned, Anjay, is a free and open-source LwM2M library delivering a full LwM2M protocol stack. It helps the vendors of Internet of Things equipment to quickly and reliably implement support for the OMA LightweightM2M protocol. Anjay is used to create individual LwM2M clients, to enable the communication between IoT devices and M2M/IoT servers. The main goal of creating such product was to answer the industry’s need for a high-quality yet low-cost remote management and service enablement mechanism. Our Coiote IoT platform, on the other hand, is a truly comprehensive IoT platform which works primarily with the LwM2M protocol but it has also protocol-hub capabilities, enabling management using various industry protocols. As a short summary, it’s best to say that Coiote covers the entire scope of features of an IoT platform such as device management and monitoring, connectivity management, application management, SIM card management and finally, service enablement including service activation. Coiote´s features can be used for various verticals from utilities and automotive to smart home, tolling or even security services. Coiote can also be used as a comprehensive IoT platform by CSPs to enable B2B and B2C services from the areas mentioned above. Q: What is the connection between the two products? Are they always used together as a tandem? A: Anjay and Coiote can be used together as an entire LwM2M end-to-end solution. As Anjay is an open-source LwM2M client, it is becoming widely recognized and used as a reference implementation of the protocol. This was exactly our goal– to enable the usage of the protocol to a large audience and help the standard adapt during a short period of time. Coiote can be used alongside Anjay or any other client-side LwM2M solution. Moreover, as mentioned above, Coiote is also not only linked with this protocol but can be used with any other industry standard technology. Q: What makes LwM2M the best choice as far as the technology used for IoT projects is concerned? A: First of all, it's very important to mention that LwM2M was designed specifically with lightweight and low-power devices in mind. One of the most important objectives was very efficient optimization of link consumption. What is more important, contrary to other established M2M protocols such as MQTT and OMA DM, LwM2M is not only a transportation protocol but defines very strictly policies for device management, firmware over the air upgrades (FOTA), application management with service enablement & activation. All of this with security as the number one priority. Specifying LwM2M requirements, OMA established robust security frames – messages exchanged between servers and clients are reliably encrypted using the industry-standard DTLS protocol. In the case of communicating with multiple servers, access control lists precisely govern which parts of the data model exposed by the device can be managed by which server. The protocol also introduces additional features such as support for multiple servers or SMS transport to improve reliability in places where network connection is not always stable. All of the features mentioned above are really essential when speaking about a standard which is to be used in millions of devices within complex IoT environments. Q: With such benefits mentioned above, how do you think this will affect the overall view on IoT environments worldwide? A: Thanks to the introduction of such industry standards as the OMA LwM2M protocol, we expect that IoT environments will become even larger and its use cases even more advanced. We already see the features moving from basic actions such as firmware upgrades to more advanced ones that apply to specific verticals. The future ahead of us will involve millions and millions of managed and monitored assets that will be easily maintainable and, as a consequence, the business related to them – profitable. Now it is up to us, the entire IT/Telecom industry, to help everyone benefit from the Internet of Things by providing secure and reliable solutions.